Subaru's pace cars will be back doing their important on-driveway duties at the 2019 Leadfoot Festival. Scottish rally star Alister McRae will be defending his title this year at the Leadfoot Festival. 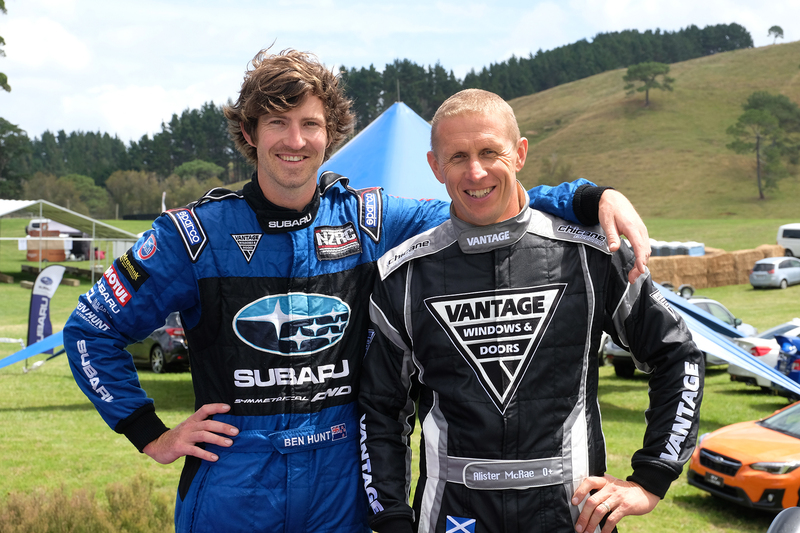 Subaru brand ambassador Ben Hunt and rally legend Alister McRae are both driving Subarus at the 2019 Leadfoot Festival. Alister McRae will be defending his title at the 2019 Leadfoot Festival in the ex-Possum Bourne Vantage Subaru WRX STI. The Subaru Outback will be one of Subaru's three SUV models available to test drive on the SUV track at the Leadfoot Festival this weekend. 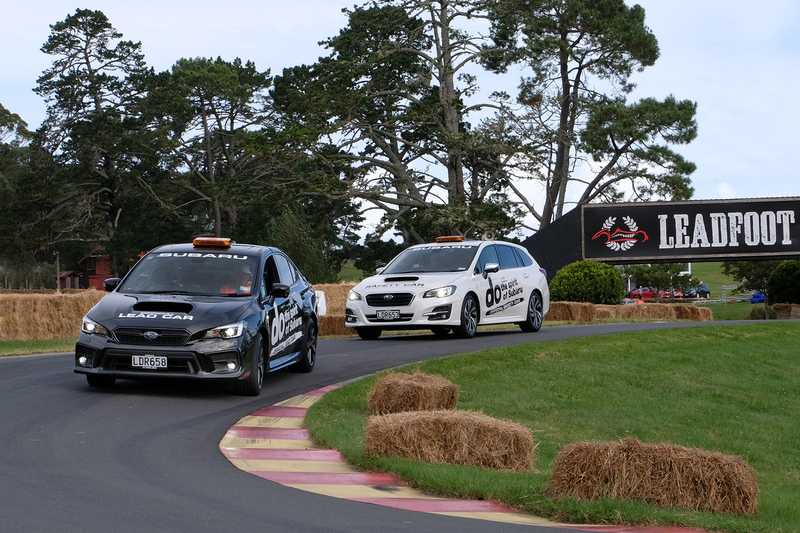 New Zealand’s annual February motorsport celebration, the Leadfoot Festival, will feature a new on-site SUV track, where Subaru will be demonstrating the All-Wheel Drive capabilities of its XV, Forester and Outback, this weekend. This interactive addition to the popular Hahei event, in the Coromandel Peninsula, will allow Leadfoot Festival attendees to head to the brand-new Subaru stand and book in to drive the SUVs, which will enable a truly unique off-road test drive experience. Subaru of New Zealand’s Marketing Manager Daile Stephens looks forward to welcoming people to the SUV track and new-look Subaru stand and reconnecting with Subaru owners over the weekend. The vision for Subaru’s new event display is to encapsulate the typical Kiwi summer pastime of ‘backyard entertaining.’ The Subaru team invite festival-goers to check it out and watch the on-driveway action from their prime viewing spot. 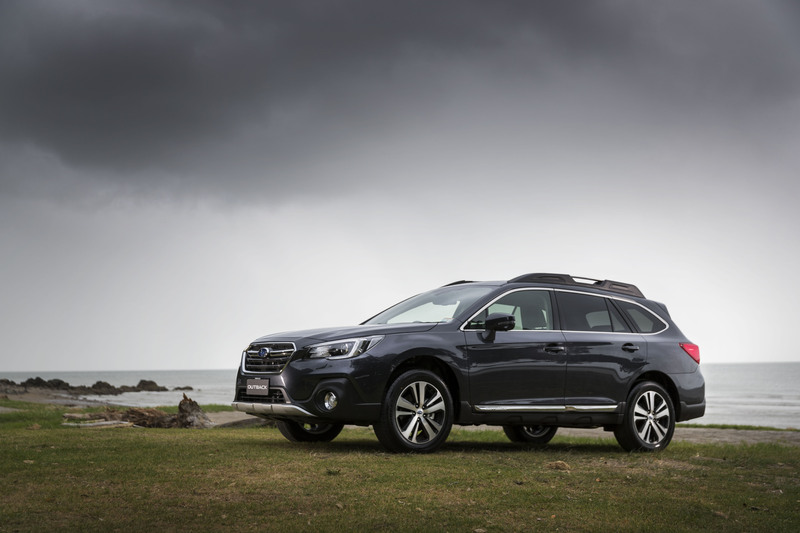 “The shared spirit of Subaru and New Zealanders is to get out and ‘do,’ so we wanted to create an outdoors environment which is quintessentially Kiwi and that also feels at home in the Coromandel. We have created a space that is designed to be welcoming for people who want to come and relax. Please pull up a beanbag and enjoy the watching event unfold from the Subaru stand,” Mrs Stephens says. “The Subaru of New Zealand team will be on hand to greet you and can show you through our full eight-model Subaru All-Wheel Drive range, including the 2018 New Zealand Car of the Year, the Subaru Forester. It is a great opportunity for families to check out this capable, tech-packed award-winning medium SUV. We’ve also got some tricks up our sleeve to keep the young ones entertained, so be sure to visit with the kids!” Mrs Stephens adds. Subaru have been involved with this huge celebration of inspirational drivers and their array of vehicles since its inception at the hands of Leadfoot Ranch owners Rod and Shelly Millen. This is the brand’s sixth year supporting the Leadfoot Festival and as has been in the case in past years, Subaru will have its performance models doing important duties on Rod’s driveway. The Subaru Levorg (which is essentially a WRX sports wagon)will be the safety car and the Subaru WRX will be the pace car. Also returning to Leadfoot is the ‘King of Millen’s Mile’ Alister McRae, who has proved he is a hard man to beat up the 1.6km driveway with back-to-back wins in the  Vantage-owned, ex-Possum Bourne 1998 Subaru WRX STI. The defending champion will be aiming to make it a three-peat this weekend and helping him achieve this will be the extra hill climbing kilometres he has had in the black rocket ship Subaru this year. 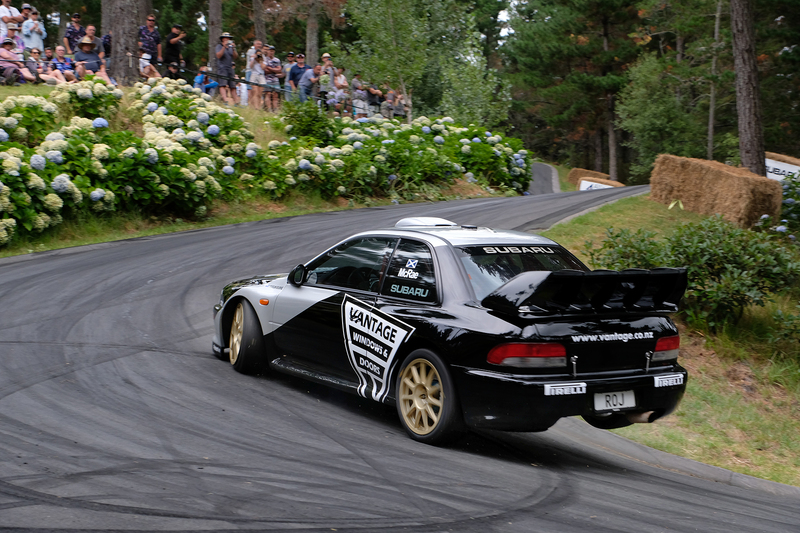 McRae became the first international driver to ever win the iconic Ashley Forest Rallysprint trophy in September. Although it was only his first time competing at the Canterbury hill climb event, he beat some stiff competition in the form of top Kiwi driver Hayden Paddon and Leadfoot arch rival Sloan Cox, who is back this year and would dearly love to beat the huge-horsepower Subaru. 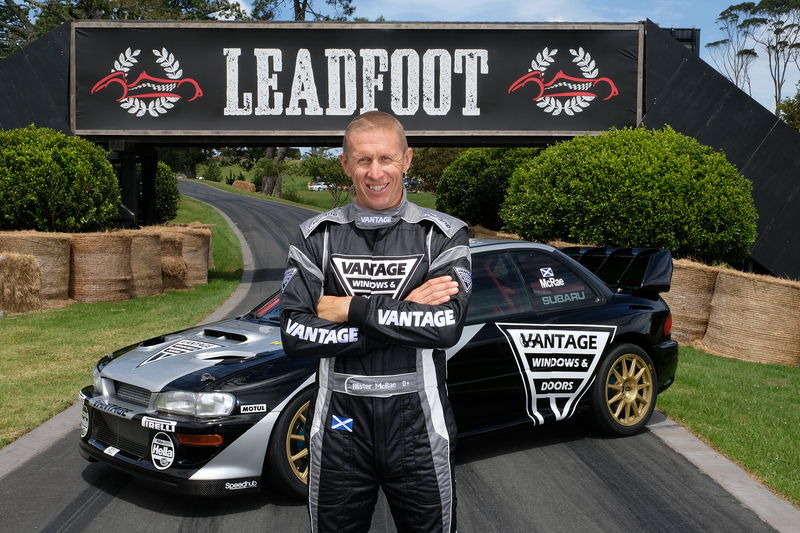 For Vantage Principal Craig Vincent it was always on the company’s cards to bring the Vantage Subaru back to the Leadfoot Festival for the fourth consecutive year. “We love the event. It’s a fun, low-key weekend with lots of enthusiastic fans. Obviously being two time-winners, there is an incentive to try and do the triple,” he says. It was “very easy” to convince Perth-based, Scottish rally legend McRae to once again drive the historically-special Subaru. “I think Alister has a great connection to both the car and the event now. He has a smile on his face every time he gets behind the wheel,” Mr Vincent says. This Subaru is not only poignant for Subaru fans but also for its long-standing, dedicated crew. The ex-Prodrive Subaru WRC car, is prepared by Speedhub Motorsport in Pukekohe. “The team for the Leadfoot Festival weekend is made up of Paul Hayton, who built many of Possum’s cars and has been the chief engineer on the car since we brought it from Possum’s estate. Chris Kitzen has been associated with Possum’s rally team since the early 1990s and has continued to be a part of this distinctive car since we took it over in 2003. Mike Thompson is the third member of our team. Mike has helped us since the 2015 Race to the Sky. The car would not be the same without the attention to detail and understanding these three guys have of this very special Subaru,” Mr Vincent explains. McRae scorched up the Leadfoot hill climb last year in  a blistering time of  49.15secs in the Vantage Subaru and is keen to better that this year. “The car is a monster and the venue is an amazing place to drive at - and having won the last two years, the pressure is going to be on. The boys at Speedhub are constantly refining the car so hopefully we can drop the time below the 49 seconds this year,” McRae says. Subaru brand ambassador Ben Hunt is rebuilding the Subaru WRX STI he drove to runner-up position in the 2018 New Zealand Rally Championship for the coming season, so has swapped it out for another Subaru this weekend. He will be driving a 2004 Subaru WRX STI that he built with his dad to drive in club rallies. “I’m really looking forward to driving at the Leadfoot Festival again. Rod and Shelly put on such a fantastic event and for us, it is a stress-free, relaxing, fun weekend. One of the reasons I love coming along is to see people from all different forms of motorsport competing. Make sure you check in with Subaru New Zealand’s Facebook and Instagram pages, particularly their insta stories @subaru_nz over the weekend to see any on-event updates from the Subaru team. And if you’re heading to Leadfoot and want to test drive a Subaru on the off-road track, simply visit the Subaru stand and book in with one of the Subaru team members. Last minute Leadfoot Festival tickets can be purchased at www.leadfootfestival.com.